Most computer users only interact with a fraction of the files on their PC. In addition to your personal data, you’ll find thousands of operating system files that Windows uses. Unless you’re trying to fix a specific problem, you’ll probably never bother with them. But just like when you scratch your head at weird file types How To Open Strange File Types In Windows How To Open Strange File Types In Windows Computers know thousands of different file formats. Sometimes, both you and Windows are clueless as to how to open a strange file. Here is how you can figure out how to open those files. Read More , you might come across some entries in Windows that make no sense or even sound harmful. Let’s find some of the silliest file names in Windows and figure out what they actually mean. Found in: The Apps & Features Settings panel of Windows 10 or Programs & Features in earlier versions. Fighting diligently against malware The 8 Best Security Software for Windows 10 Malware Protection The 8 Best Security Software for Windows 10 Malware Protection Want to tighten security on your PC? It's a good idea, so take a look at these fantastic antivirus choices for Windows 10. Read More means keeping an eye out for strange files on your computer, and Vulkan Run Time Libraries certainly sounds like it doesn’t belong. But this one isn’t a Star Trek-themed virus. It’s actually a graphics API, much like DirectX Everything You Need to Know About DirectX in 2016 Everything You Need to Know About DirectX in 2016 If you're a PC gamer, you absolutely must use DirectX because it could significantly boost your gaming performance! Here's everything you need to know. Read More . It improves 3D gaming performance and has recently popped up on many systems since NVIDIA and AMD bundle the libraries with their graphics cards. Thus, you’ll find it already installed on a new system with a dedicated graphics card. Alternatively, it could arrive when you update your graphics card driver How to Find & Replace Outdated Windows Drivers How to Find & Replace Outdated Windows Drivers Your drivers might be outdated and need updating, but how are you to know? Here's what you need to know and how to go about it. Read More . Not every game requires the Vulkan Run Time Libraries. But if you’ve built a PC with a dedicated graphics card How to Buy a Cheap Gaming PC With an Nvidia Graphics Card How to Buy a Cheap Gaming PC With an Nvidia Graphics Card Looking to build a cheap gaming PC? Dann Albright built an Nvidia-based gaming machine on-the-cheap. And he's going to show you how it's done for under $600. Read More , chances are that you play some video games on it. So you shouldn’t uninstall this, as the runtime likely powers a game on your machine. Found in: The Services panel and Task Manager. A Microsoft passport? Is your computer about to take you out of the country? Unfortunately, we aren’t taking a trip with this service. Microsoft Passport is the service that powers signing into various Microsoft services across your computer. As you likely know, you’re required to use a Microsoft account The Pros and Cons of Using a Microsoft Account with Windows The Pros and Cons of Using a Microsoft Account with Windows A single Microsoft Account allows you to log into a wide range of Microsoft services and apps. We show you the pros and cons of using a Microsoft Account with Windows. Read More to access some of what Windows 10 has to offer, such as OneDrive and parental controls The Complete Guide to Parental Controls The Complete Guide to Parental Controls The world of internet-connected devices can be terrifying for parents. If you have young children, we've got you covered. 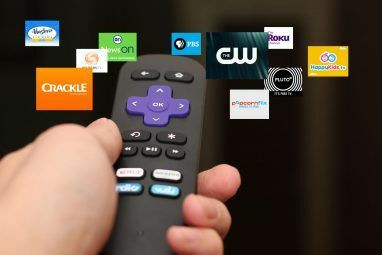 Here's everything you need to know about setting up and using parental controls. Read More . It acts as a single-sign-on system where you only have to log in one time to gain access to everything with your Microsoft account. For instance, if you use a Microsoft account to sign in to your PC, you don’t have to sign in again when you want to buy an app from the Store or work in OneDrive. 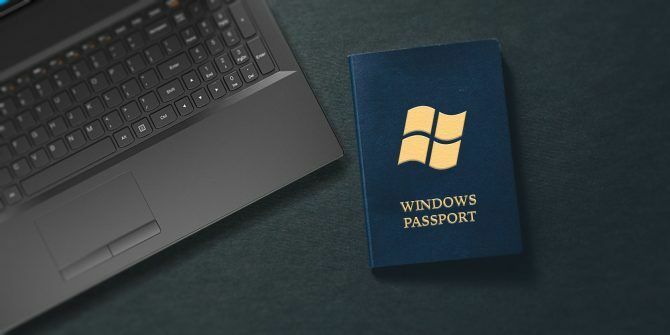 Passport also powers Windows Hello, the new system for logging into your PC. Instead of a username and password, Windows Hello (on supported devices) lets you log in with your face How to Log Into Windows 10 With Finger Scans & Facial Recognition How to Log Into Windows 10 With Finger Scans & Facial Recognition Instead of using a password or PIN, you might be better off using fingerprint scans or facial recognition! But there are a few risks associated with them. Here's what you need to know. Read More , fingerprint, or a PIN. We’ve already discussed the benefits of using a PIN to log into Windows PIN or Password? What to Use in Windows 10 PIN or Password? What to Use in Windows 10 Windows 10 allows you to sign into your PC using several methods. The two most popular are passwords and PINs. Let's examine the differences between them and decide which is best for you. Read More , as it’s easy to remember and keeps your Microsoft account password protected. Windows Hello doesn’t sync across computers, so any login methods you set up stay local to that device. 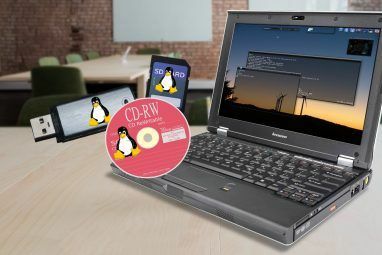 Many details occur behind the scenes with Windows Passport to make it secure, which is beyond the scope of this article. In the end, it makes using Windows more convenient and provides more security options for the user. Having System Interrupts on your computer gives the impression that your PC needs to learn some manners. If you turn this service off, will Windows stop interrupting what you’re doing to install updates 7 Ways to Temporarily Turn Off Windows Update in Windows 10 7 Ways to Temporarily Turn Off Windows Update in Windows 10 Windows Update keeps your system patched and safe. In Windows 10 you're at the mercy of Microsoft's schedule unless you know hidden settings and tweaks. So, keep Windows Update under control. Read More and the like? Nope. This entry in the Task Manager is actually vitally important to keep your computer running properly. It’s not actually a true process. System Interrupts is a placeholder entry that shows you how much of the CPU is occupied by interrupts. A hardware interrupt occurs when some piece of hardware needs to grab the CPU’s attention. If a program is busy running a calculation and then it runs into an error, your system will send an interrupt letting the CPU know that it should stop due to the error. Most of the time, interrupt requests are more important than whatever the CPU is working on at the time so it responds to them immediately. This is especially true for user input: when you start typing on the keyboard, the CPU usage for System Interrupts rises because the CPU is dealing with you typing. Once the interrupt is all clear, the CPU resumes its prior task. Seeing some CPU usage by System Interrupts is normal. But if it’s regularly consuming more than a few percentage points of the CPU, you might have a hardware issue and should diagnose the problem How to Fix High CPU Usage Caused by System Interrupts How to Fix High CPU Usage Caused by System Interrupts Your computer suffers from high CPU usage and the process that hogs most resources is "system interrupts"? We will help you get to the bottom of this! Read More . The word “broker” calls to mind an image of someone buying and selling on behalf of another person, or bringing buyers and sellers together. So it sounds like this service works to bring the right internet connection to your PC or handles connection changes. Essentially, this service makes sure that Modern apps can grab notifications when needed. Without it, you wouldn’t receive a ping for new email in the Mail app or see Twitter notifications for new mentions. Since some Store apps are actually worth using 10 Windows Store Apps You Didn't Know Existed 10 Windows Store Apps You Didn't Know Existed Big names have finally entered the Windows Store. You might not realize just how good it's become. Let us show you what you've missed. Read More , there’s no reason to disable this. Found in: C:\Windows\System32 and Task Manager. Take a trip through the System32 folder in Windows (being careful while you’re there 5 Default Windows Files and Folders You Should Never Touch 5 Default Windows Files and Folders You Should Never Touch Windows contains countless default files and folders, many of which the average user shouldn't touch. Here are five folders you should leave alone to avoid damaging your system. Read More ) and you might stumble across a file called spaceman.exe. This bizarre file name sounds like it could be part of a sci-fi game or perhaps an astronomy software 5 Tools to Watch the Night Sky and Track Events in Astronomy 5 Tools to Watch the Night Sky and Track Events in Astronomy Today, you don't have to use a telescope to enjoy the wonders of space. These sites and apps are for real-life star-gazers who need to know what to look at up above. Read More , but as we’ve seen above, names are often deceiving. Spaceman.exe is associated with disk partitioning tools How to Set Up a Second Hard Drive in Windows: Partitioning How to Set Up a Second Hard Drive in Windows: Partitioning You can split your drive into different sections with drive partitions. We'll show you how to resize, delete, and create partitions using a default Windows tool called Disk Management. Read More . If you’ve installed EaseUS Partition Master or a similar utility, you’ll likely see this process floating around. Windows describes the process as “storage spaces manager,” which clicks with the disk management tools. System32 is home to a lot of scary-sounding files. But “bubbles” seems cheery and thus out of place. What in the world is this? As it turns out, this file holds the classic Windows screensaver we all know and love. Though screensavers are disabled by default in Windows 10, you can still turn this back on Should You Turn Your Screensaver Off? History & Modern Use of a Bug Fix Should You Turn Your Screensaver Off? History & Modern Use of a Bug Fix Once an important feature to help prevent screen burn, screensavers are mostly used now to look pretty. How did they come to be and are they still worth using today? Read More to play a nice animation when you’re away. Screensavers aren’t necessary with modern display technology Are Screensavers Still Relevant? When to Use Them (And When Not To) Are Screensavers Still Relevant? When to Use Them (And When Not To) Screensavers may no longer be necessary, but there are some really cool ones that are still worth using today. Read More , but this is still a fun relic of bygone days. You can probably guess what this file is by its name, but the fact that it’s hanging around in Windows is the interesting part. Windows 10 holds a hidden “Retail Demo” mode intended for stores to use Buying A New TV Or PC? Avoid Showroom Tricks That Cost You Money Buying A New TV Or PC? 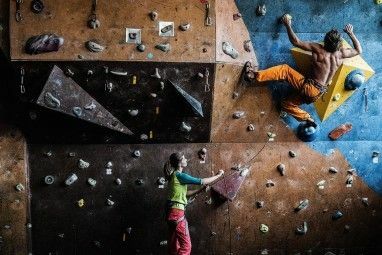 Avoid Showroom Tricks That Cost You Money Over the years I've become more and more resistant to their tactics and approaches, thanks mainly, I think, to the realisation that they haven't been entirely honest with me. Read More so people can check out computers without poking into administrative functions. In fact, it’s possible to enable it on any Windows 10 computer. But you should avoid doing this because it will erase all the data on your computer and perform a factory reset when entering demo mode. Open Settings, visit the Update & security panel, then select the Activation tab on the right. Near the top, click the word Windows five times and you’ll see a pop-up asking if you want to enable demo mode. The resulting mode is exactly what you’d see on a computer in a store running Windows 10. Edge’s homepage is set to the Microsoft Store, you can’t access the Control Panel, and there’s a dedicated app for learning about the new features of Windows 10 7 New Windows 10 Features You May Have Missed 7 New Windows 10 Features You May Have Missed Every major Windows Update now comes with countless new options and features. Here we cover awesome new features that didn't make the headlines. Read More . It also runs a screensaver while not in use that shows off the operating system. There’s no use in activating this for home users, but it’s neat that the service exists and you can find it on your own PC. These seven elements of Windows sound funny, weird, or out of place at first. But once you examine what they’re for, everything clicks. You’d be forgiven for assuming that some of these were malicious, and it’s always smart to keep an eye out for potential infections on your PC. By checking these out, we’ve had a laugh and learned a bit more about Windows. That’s a win-win for sure! Looking for more like this? Enjoy the most ridiculous Windows errors of all time The 12 Most Ridiculous Windows Errors of All Time The 12 Most Ridiculous Windows Errors of All Time You probably see plenty of boring Windows error messages every day. Come enjoy some ridiculous ones, just for laughs. Read More . What elements in Windows have left you scratching your head? Share the funniest and weirdest entries you’ve found below in the comments! Explore more about: Computer Networks, Screensaver, Troubleshooting.